Our popular Bookstore report has been updated with 2012 figures (here is our original Bookstore Research Report). Learn about the bookstore business and how to open your own bookstore. Don’t forget you can receive free or low-cost training and free professional business advice, from your local Small Business Development Center! Also, be sure to read below where to find a free bookstore business plan. Bookshop owners initially faced challenging times during the economic downturn because sales of books and related items are tied to whether consumers have much discretionary income. Now that the economy is beginning to improve, bookstore owners are coming under pressure from the many digital alternatives to traditional print books. Overall, the bookstore business is expected to contract slightly over the coming years as major players consolidate. However, the bookstore business is far from dead and offers interesting opportunities for independent booksellers who can combine the latest technologies with a compelling retail environment and customer experience. Also, since many bookstores now include a coffee shop, espresso bar or other refreshment stand, be sure you understand trends affecting the coffee shop business in 2012. Bookstore industry revenues are expected to fall 1.1% during 2012 to $19 billion, from $19.2 billion in 2011. Conversely, this industry revenue decline will occur while per capital disposable income across the U.S economy is expected to rise by 1.6% during 2012, further evidence of the bookstore industry’s challenges. 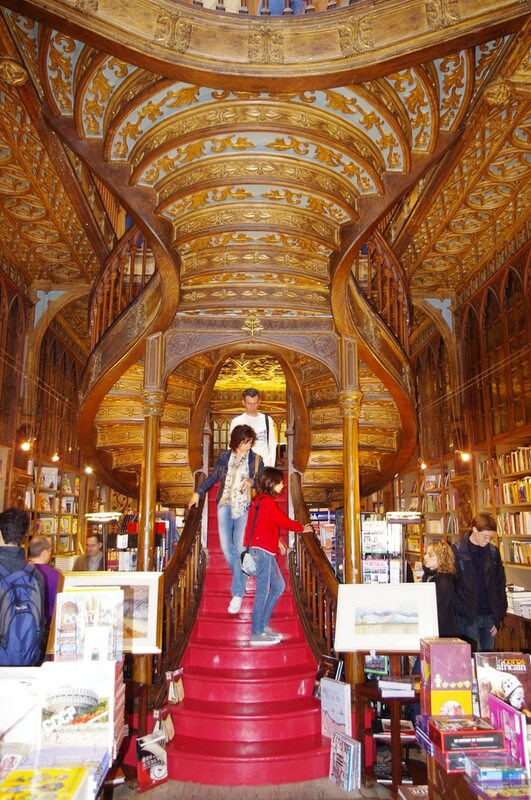 Similarly, the number of bookstore establishments are expected to decline 2% to 29,795 in 2012, from 30,400 in 2011. Employment is also expected to decline slightly (-0.3%) to 161,300 in 2012, off 7.3% from its near-term peak of 176,410 in 2006. Local bookstore employment levels are generally expected to remain stable, averaging 5 employees per establishment in 2012. Average bookstore employee wages are projected to rise modestly (2.4%) during 2012 to an industry average of $13,504 per employee, however revenue per employee may slip by -0.8% during 2012. Consolidation. Both large bookstores and smaller independent booksellers are struggling to stay afloat amidst strong economic headwinds and sweeping technological change. These changes hardly signal a death knell for the bookstore business — Books-A-Million and others are quickly moving to expand into former Borders locations and other closed booksellers. Restructuring. Barnes & Noble plans to sell its publishing business, Sterling Publishing, which owns over 6,000 e-books and print books. This will allow B&N to focus more exclusively on its core business of book sales, and more specifically on the e-reader market. B&N has had considerable success in selling its Nook reader (some estimate that B&N has captured 27% of the digital book market), but faces stiff competition from the very popular Kindle series of e-readers offered by Amazon. E-Reader Growth. E-book sales grew nearly 10 fold from 0.6% of the total Trade market share in 2008 to 6.4% in 2010, propelling total net revenue to publishers from e-book sales to $878 million during 2010, and total net sales to 114 million units. Fair Use Expansion. Google Books is a search tool that locates books (and passages of books) that match Google search terms. Once a Google Books user finds a book they are interested in reading they can access the full text for free (if the book is in the public domain, the copyright has expired, or the author has given Google permission to share the text); locate the book in a library; or follow a link to purchase the book online. The Google Books project has generated some controversy regarding its impact on publishers, authors and bookshop owners. Most of this concern involves the doctrine of fair use, and whether the Google Books Project may erode copyright claims. In December 2010, the American Booksellers Association announced a partnership with Google that creates a way for independent booksellers to collectively be represented in Google Books when a Google Books user is ready to purchase a book online. Startup costs to open an independent bookstore can vary widely. Here is one itemized list of bookstore startup costs for a clicks and bricks bookstore. Prospective independent bookshop owners might consider first opening an online bookstore. Online bookstore startup costs can be minimal: just the cost of a website. Some arrangements do not require inventory, and order fulfillment can be outsourced. A very simple approach might begin with writing a blog about book genres that interest you and adding an Amazon affiliate link for books you review: you earn a small percentage of the sale from your site visitors who click on your links to Amazon. Get a free Bookstore business plan template on our Business Plans page. Follow the advice of an Austin, TX bookseller and offer an E-Reader Concierge Service in tandem with Google Books to boost customer loyalty and sales. This bookseller’s website, BookPeople’s Blog, offers many other great tips and advice for independent booksellers. Vroman’s Bookstore (serving southern California since 1894) has a blog, podcasts, guest postings, and many other online ways to engage customer; they also have an excellent blogroll (list) of other bookseller-related websites in the right sidebar. Publisher’s Weekly is an excellent source for industry news, trends and marketing ideas for independent bookstore owners. American Booksellers Association – national, not for profit trade association for independently owned bookstores, large and small, with storefront locations in towns and cities nationwide. Association of American Book Publishers – trade association for U.S. book publishers, providing advocacy and communications on behalf of the industry. Book Industry Study Group – offers data and analysis of the total industry and the individual Trade, K-12 School, Higher Education, Professional and Scholarly markets. Produced jointly by the Association of American Publishers and the Book Industry Study Group. 1 IBISWorld. Santa Monica: CA. University of Texas at San Antonio, John Peace Library. San Antonio, TX.